Straight from the source: This article is from CrossFit HQ and gives a full description of the details of CrossFit. speed, endurance, flexibility, power, coordination, agility, balance, stamina, and accuracy. While it is as simple as showing up for class, CrossFit is not easy. It will test you in ways you most probably have never been tested before. The coaches at Corey’s Gym will get you into the best shape of your life with the camaraderie of like-minded people. experienced and knowledgeable trainers. Give us 3 months and we will change your life! We offer private training for individuals as well as CrossFit classes. To get you started in CrossFit, we invite you to schedule a free consultation and assessment. You may also choose to drop in and observe any of our regular CrossFit classes. You will get an idea of the high energy of our classes and may ask any questions you may have when the class is over. On-Ramp – This program is designed for healthy individuals who are brand new to the CrossFit methodology. It is a four-session program that focuses on gaining knowledge and ability in the fundamental CrossFit movements. Beginners will go through the comprehensive program and emerge as athletes who are capable of performing scaled CrossFit WODs with safe movements. All participants new to CrossFit will be required to complete the On-Ramp program before attending regular classes. $175 for the 4 private-session program. Please email us at coreysgyminfo@gmail.com to schedule your sessions now. Experienced CrossFitters – If you have participated in CrossFit classes, you may “test out” of the On-Ramp Program. Please contact us to schedule this free appointment. Private Training – If the feel of a class is not for you or you would simply prefer one-to-one CrossFit sessions, we offer private training with any of our coaches. Sessions are $90/hour and can be scheduled by emailing us at coreysgyminfo@gmail.com. Boot Camp and Barbells – This class is for all levels of fitness and requires no On-Ramp to participate. Plyometric, Light Weight, and Bodyweight Workouts that are constantly varied with high intensity! Membership is month-to-month and there is no charge to cancel. We require a 30-day WRITTEN notice for any membership changes. Please Note: Discounts may not be combined. 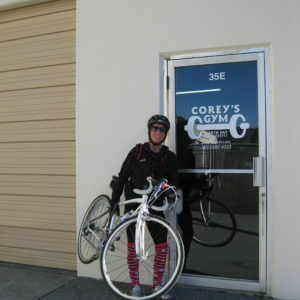 Corey’s Gym is a CrossFit Gym in San Rafael where our commitment to your health and fitness shows in every workout. We teach you the skills and habits that will change your life. Make no mistake, CrossFit is hard! It requires dedication, perseverance and mental toughness as you take on these rigorous workouts of the day. The skilled, educated coaches here will guide you every step of the way as you watch your inner athlete emerge! 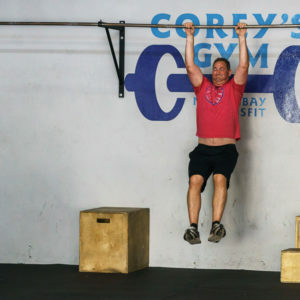 Corey, a Level 2 CrossFit Coach and a personal trainer since 1995, began lifting weights in 1986. She has run a marathon, several half marathons and too many 10ks to count. Nowadays Corey CrossFits, competes in Olympic Weightlifting and runs the trails for fun. 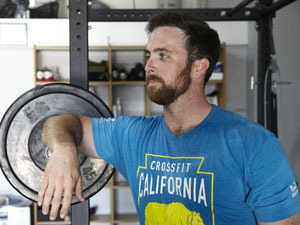 Corey has been coaching CrossFit athletes in San Rafael since 2008. Her ability to instill confidence and skill in the beginner and to fine-tune the experienced athlete has become Corey’s trademark as a coach. Her beliefs are simple; treat people with respect and help them define and reach their goals for physical fitness, whatever those may be. Will, a CrossFit athlete since 2008, is drawn to the Olympic Lifting and competition aspect of CrossFit. He competes in several Oly meets a year. Will has an uncanny ability to correct a movement with the exact cue needed to help the athlete maintain proper technique and form. His enthusiasm is contagious and he brings out the very best in all of the athletes he coaches. Will is a captain for Alcatraz Cruises. In his spare time, he is either surfing, snowboarding, waterskiing or wake boarding. When you attend one of Will’s classes, know that you are in skilled and competent hands. Traci was introduced to CrossFit in 2008 and fell in love right away. She enjoys a variety of activities, including Olympic Weightlifting, Yoga, Road/Mountain Biking, Running, Hiking, Paddleboarding, Horseback Riding and more. 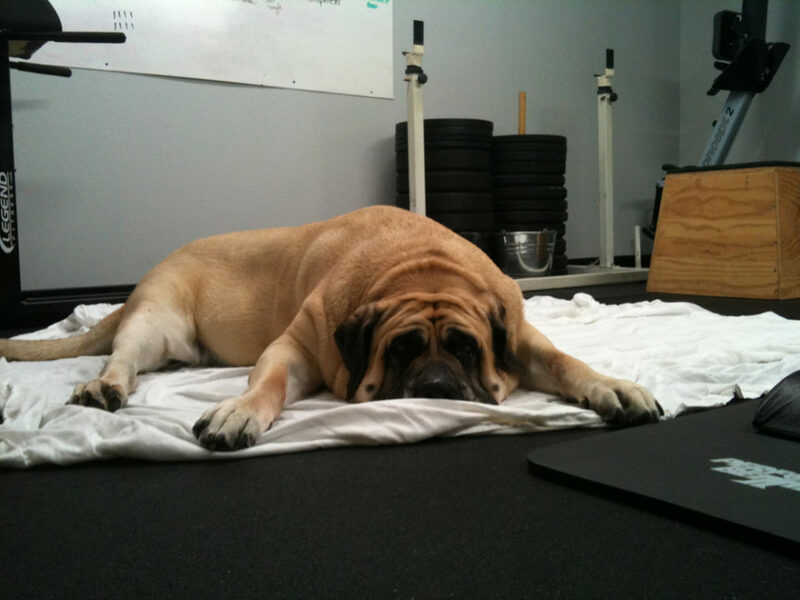 Traci has competed in Olympic Lifting and Power Lifting meets. It is her desire for variety and community that drew Traci to CrossFit and its constantly-varied concept. She finds great joy in motivating and encouraging others, which shows whether she’s taking class or coaching. Traci is passionate about motivating and guiding people to believe in themselves. She has the ability to build confidence in all who attend her classes. Putting a smile on a person’s face as they accomplish a goal is one of her greatest gifts. Completed Gymnastics Seminar in Aug 2010 with Roger Harrell, Former HQ Gymnastics Trainer.